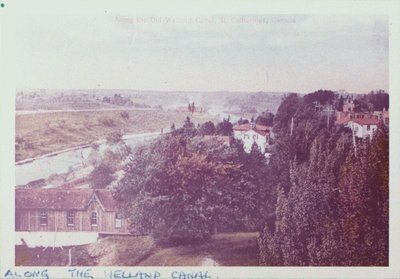 A photograph of a postcard of the Old Welland Canal (second), St.Catharines, Ontario. c1905. Along the Old Welland Canal, St. Catharines, Canada.